Betty Esperanza’s last name means, “hope” in Spanish. 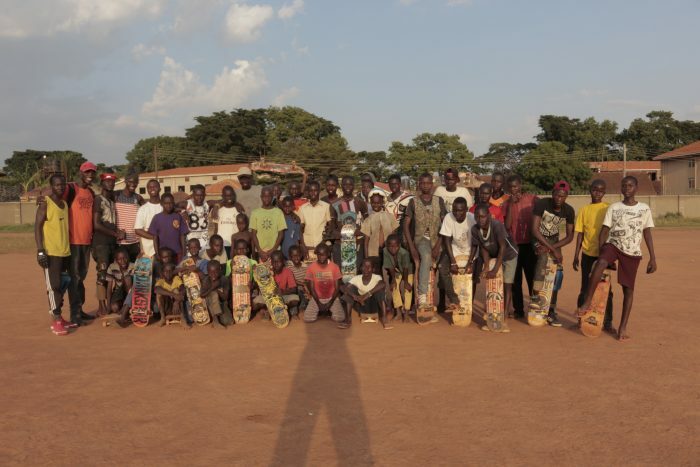 The hope that she is bringing to thousands of street kids in developing countries, uses an unlikely tool: Skateboards. As a social entrepreneur, she raises funds using a method that combines barter and uses the leverage of various community ventures to provide goods and services to go directly to the communities she’s helping. Skateboards For Hope provides sponsorships for athletes of the first nations and girls who fight for their place in this sport. It all started on a trip to Cuba, when she gave her used skateboard to a boy. She told him to share it with his friends, and when he told her that he had fifteen friends, she promised to bring them used skateboards to play with as well. He enjoyed it immensely, and years later, would be known as a skateboard legend in Havana. “There’s a philosophy behind skateboards that applies to life,” says Esperanza. “In skateboarding, like life, you have to learn by falling, and sometimes it hurts, but you only get better the more you practice.” The next time Esperanza came back to Havana, she kept her promise and brought more skateboards with her. The children were delighted, but more than that, they found a cause they believed in. “The youth of Havana are very resourceful,” added Esperanza. 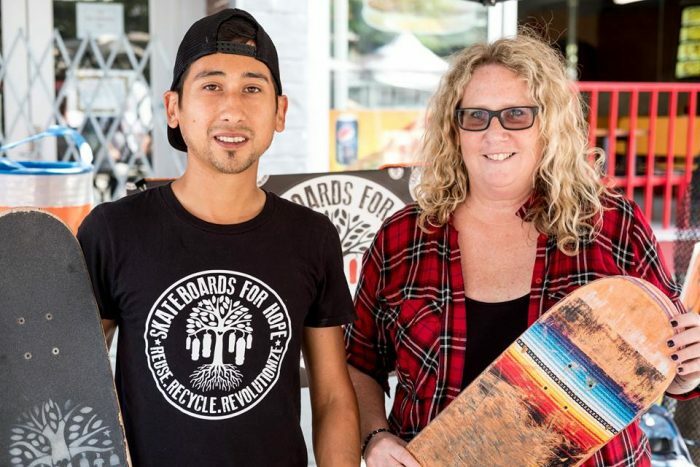 “The kid would start events, let people film him, and it grew into a lucrative skateboard-oriented business.” With Skateboards for Hope, she hopes to bring some entrepreneurial spirit to developing countries. The only difference between a government handout and socially driven non-profit was how the money they raised and the resources that it brought did more than a fundraiser that simply brought cash. Esperanza is a part of District 3, a social innovator hub in Montréal that connects innovators with potential investors and community builders. What she likes best about the system is that it’s powered by people, not by money. “We rely on people. We’re human powered.” What that means is that the funds are given directly to the venture to build and educate a community, instead of simply throwing money or medical supplies at an impoverished country. “We give away used skateboards that would otherwise be discarded,” she adds. This eco-friendly inititative is not the only use for the skate decks. Esperanza also launched an artist installation conceived by several artists from all around the world to create thought-provoking pieces out of the recycled skateboards that her organization collects. A Montreal artist, The Artful Vandal, also known as MissMe, participated in the Skateboards For Hope Pow Wow inauguration in Kanesatake, Mohawk Territory by painting the mural in the feature photo above. “We’re grateful to everyone who joins, they all bring something, they all have value,” she relies on leveraging barter and trade to bring skateboards to the kids of Havana and Uganda, and this in turn, creates an opportunity for young entrepreneurs to “think out of the box,” as she puts it. On April 22nd, Esperanza was “humbled” to be awarded the Born To Rise Maria Brown Humanitarian award. To be recognized for her efforts as to how she is helping communities and how she uses social media bring a positive change in the world is uplifting, she says, but she hopes that this will inspire others to just be kind for kindness’s sake. Esperanza looks forward to mentoring other social entrepreneurs with ideas, and welcomes anyone who would like to learn how to turn an idea into a movement. She encourages people to apply for STEM research or apply for a grant through a hub. Esperanza can be reached via email at info@skateboardsforhope.com or through Twitter.